Tragically, her husband Rodney died last week, under tragic and infuriating circumstances. This television clip tells the really disgusting story. To make a long story short, this good man passed out on the sidewalk in the Garden District of New Orleans. Several Good Samaritan passers-by called for an ambulance to help this man, who was unconscious, almost immediately. 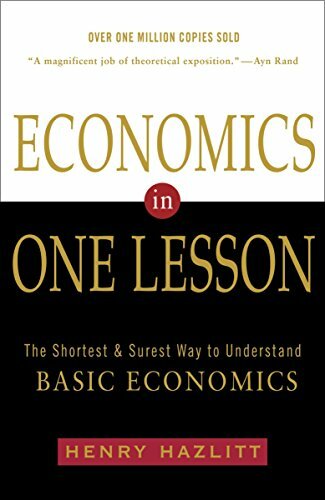 It took almost an entire hour for help to Economics in One Lesso... Henry Hazlitt Best Price: $4.32 Buy New $10.66 (as of 05:35 EDT - Details) arrive, and he died, presumably, as a result of this inexcusable tardiness. “(Here is) the story on Fox 8 (t.v. station) about Rodney… (referring to the clip linked to above). It is infuriating to me…. I spoke with Carolyn last night. An autopsy is being done on Rodney. They suspect heart attack but since he died in Touro Emergency Room an autopsy is required. “You may have seen the story on Fox 8 news this week about a man found collapsed on Delachaise and Camp Streets, that was Rod. A pedestrian called 911 and it took over an hour for an ambulance to arrive. He had a faint heartbeat when they arrived but he did not make it to the hospital. So his death was a complete shock to Carolyn and the family. The pedestrian was so angry about the time of ambulance response that he called Fox 8 to report it. “The funeral will be at St. Leo the Great church on Paris Ave. on Tuesday, 9/29. Visitation at 10:00 and mass at 11:00. The human being part of me is NOT “infuriated” by this horrid, disgusting, episode. This aspect of me realizes that people are imperfect, there will always be mistakes, the world is imperfect. But, the economist in me certainly is indeed “infuriated.” But not because of the tragedy of this one death. (The economist in me is also aware of human fallibility.) The economist in me is horrified because the people responsible for this despicable act of omission, of failure to do their job in a competent manner, ARE STILL IN BUSINESS. As such, they will be able to kill yet other innocent people. That is why my signature below says “If it moves, privatize it; if it doesn’t move, privatize it. Since everything either moves or doesn’t move, privatize everything.” If we had had a private competitive ambulance – fire department industry, and one of the firms in this industry took almost an hour to respond, it would be out of business forthwith! If we had had a private competitive ambulance – fire department industry, this “weeding out process” would probably have saved our friend Rodney’s life. About that I’m not sure. 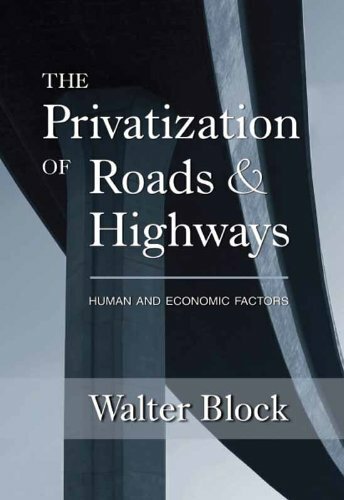 But I am very certain that the response The Privatization of R... Walter Block Check Amazon for Pricing. time from a private competitive ambulance – fire department industry would have been a few minutes, not almost an hour. If we had had a private competitive ambulance – fire department industry instead of a government monopoly “providing” this service, this good man might still be alive. If we had had a private competitive ambulance – fire department industry, comprised of, oh, ten firms, and one or two of them didn’t send help within five minutes, the others almost certainly would have. And the ones that did not would SOON GO BANKRUPT, and not be able to inflict their incompetence on good people. I am taking the liberty of copying, also on this, my present class in economics. Maybe this real world example of the necessary incompetence of government will better teach them than I can about the importance of economics, free enterprise and privatization. 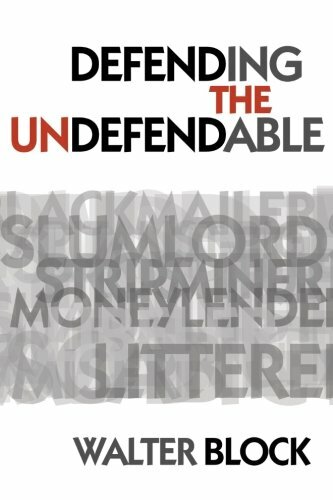 How many good people has this government monopoly killed? That would make a good topic for research; that would make a good term paper. Students, do indeed watch this short video. It will sicken you, just as it sickens me. I take this personally.